For those of you who didn’t know, Sentora is an open-source web hosting control panel built specifically to work on a variety of Linux distributions. 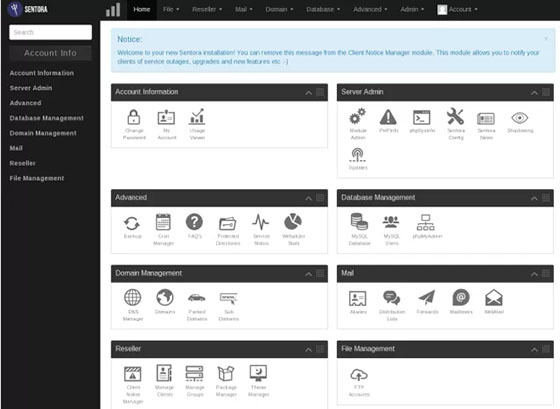 Sentora is a fully featured, free hosting control panel that can help you easily manage your server through its user friendly interface. It is easy to install and includes all the software you will need to manage multiple websites and clients on a single server. This article assumes you have at least basic knowledge of linux, know how to use the shell, and most importantly, you host your site on your own VPS. The installation is quite simple. I will show you through the step by step installation Sentora web hosting panel on CentOS 7. Step 1. First, download installation script Sentora. Sentora will be available on HTTP port 80 by default. Open your favorite browser and navigate to http://yourdomain.com or http://server-ip. Use username / password generated by the installation script to login. Once you logged in you can start creating new domains, web hostings, and email hostings. If you are using a firewall, please open port 80 to enable access to the control panel. Congratulation’s! You have successfully installed Sentora. Thanks for using this tutorial for installing Sentora web hosting panel on CentOS 7 system. For additional help or useful information, we recommend you to check the official Sentora web site. 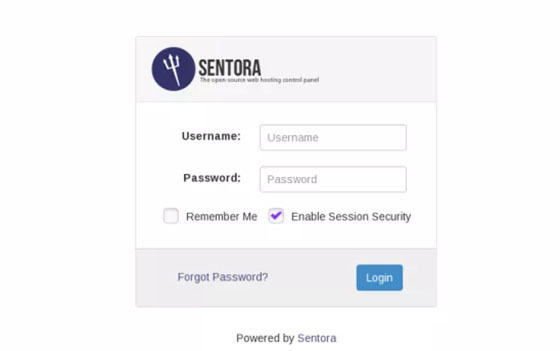 Related Posts of "How To Install Sentora on CentOS 7"